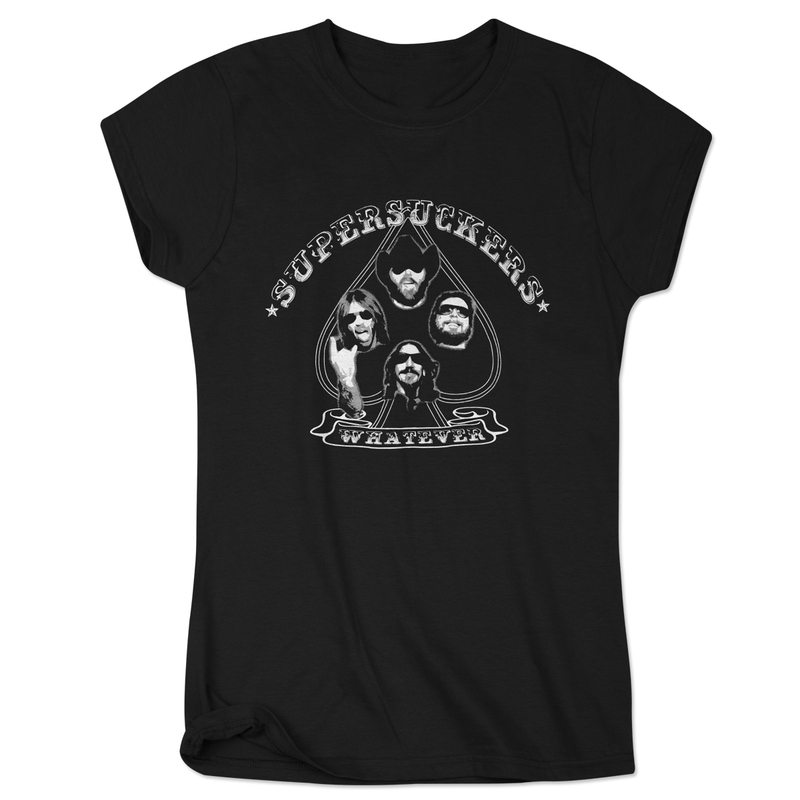 Black cotton t-shirt for the ladies featuring the band on the front. Bought the ‘Whatever’ ladies T. Supersuckers - super happy. Fits true to size, I am a small who usually looks like a pencil in a sock! Not all smalls are small. This baby fits great, is cut straight and looks good! THANKS!! 5 Stars. This is an awesome soft shirt but ladies beware! Rocker tight sizing. I ordered large and usually wear medium. It is tight, but plenty long. My guy loves it on me.